For many, the club is a sanctuary. A place to be your most unbridled self without judgement. Before the era of mobile phones and social media, clubbing could be an experience of anonymity, or of expression, but one thing was for certain – it was fleeting. 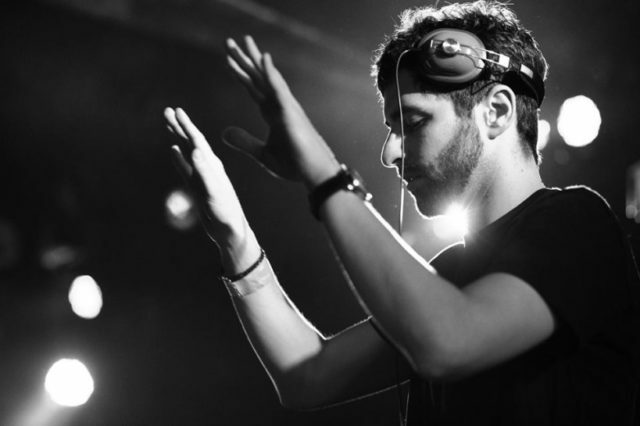 Lane 8 is a fervent holder of such beliefs, as is indicated by the house artist's This Never Happened campaign – which has since spawned an event series/tour and most recently, a label. I had the honor of sitting down with the iconic musician before a recent set in New Orleans, and learned from the man himself what it means to truly give yourself to the sound. "I fell in love with electronic music, I think probably like a lot of people did, when I was between 18 and 21, going out to clubs and concerts and stuff for the first time," explained the artist (whose real name is Daniel Goldstein). "Just having those really strong memories of being on dance floors with my friends and hearing music that we really loved, being in the moment and sort of being captivated by it." The core message of This Never Happened, and Lane 8's brilliant recent album Little By Little is just that – to cultivate the ephemeral experience of losing yourself to the music, surrounded by friends, forgetting the trials of the outside world. "As a producer and also as someone who performs and puts on events, that's the motivation behind everything that I do," says Goldstein. When you enter a This Never Happened event, you are asked to kindly put away your phone (stickers to cover the camera are provided), and be completely present. "I want to kind of capture that atmosphere of just being on the dance floor with your friends and nothing really else matters except for that moment that you're in," he says. In a world of increasing heaviness, we need to hold more space for free expression, and the dance floor is just that. The first time I saw Lane 8 live was actually at Bonnaroo's Silent Disco stage a couple years back, under a different sort of restriction: music from the live performer is piped in through wireless headphones worn by revelers on the dance floor. The experience plunged me into a deeper relationship with his music, and I've felt soothed and rejuvenated by his mellow tones ever since. "That was one of the coolest, most different things that I've ever done. I really, really love that. I mean with the silent disco, you've got headphones on, so you're sort of isolated. So that's having a different experience to what we're trying to do at This Never Happened, which is trying to be very social and communal," explained Goldstein. "Not that the silent disco can't be social as well, because it was kind of funny, if you took your headphones off, you could hear people kind of talking, or like yelling way too loud. I think it's cool that people are trying to create experiences that are a bit different, and I'm all for sort of experiences that focus on mindfulness and being present." The sound design of Lane 8's music very much lends itself to such a meandering, narrative experience. Long build ups, and steady anthemic highs create a transcendence that is truly soul-affirming. The origin of this structure goes back again to those early clubbing moments. "If I had seen dubstep, if that had been my first show, maybe I would be making totally different music now, but that's not what I was into at the time," reasons Goldstein. "I don't tend to change gears very quickly. I try to steer the ship slowly but steadily towards the end point." The easygoing progression of a night at Lane 8 is very much akin to his album's namesake – it moves deliberately, little by little, with distinct influence coming from the great sonic storytelling greats. "With the new album, I tried to focus more on having a set sort of palate of sounds that I use throughout," elaborates the artist. "Albums like Pink Floyd, Dark Side of the Moon, if there's a sonic palate there and it all fits together sound-wise, without sounding like the same track over and over again, that's something that I tried to focus on a lot with Little By Little." In the fantastical clubbing mecca of my daydreams, the night always tells a story, carefully pieced together by the song selection of the DJ – fiercely in tune with the desires of his audience. Lane 8 achieves such an archetypal journey on Little By Little by "using similar sounds and related sound throughout tracks that give the entire album sort of a cohesive feel and a narrative." The proclivity for storytelling has expanded Lane 8's professional repertoire into burgeoning imprint mogul, and thus This Never Happened the label was born. "We have some artists on This Never Happened that I'm really, really excited about. 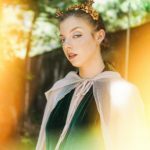 So last year, we did a small compilation with three artists, it was called Root to Branch, and we're now developing those artists and signing more music from them so they can do solo EPs and have their own releases on the label." Lane 8 explained that curating sounds for his famed seasonal mixes and live sets created a natural bridge to new talent, and the platform gives these underground artists even more room to breathe. With a burgeoning label, warm reception to his recent sound and movement, and no slowing down with international touring, Lane 8 is riding a wave of positive energy and good clubbing juju. At my This Never Happened experience in New Orleans, not a soul seemed perturbed by the restrictions. The atmosphere was refreshing, approachable, and almost wholesome. "It seems like people are really willing to buy into the idea, and I think the response that we've seen to these tours that we've done through This Never Happened suggests to us that this is something that people want and that they need," remarks Goldstein. "They need a space to get away from phones and social media and all that stuff, where they can just be in a different world for a while."